62304 Class C, ISO 26262 ASIL D, and EN 50128 SW-SIL 4 safety standards. applications that have a user interface and require certification. and EN 50128, without further qualification. 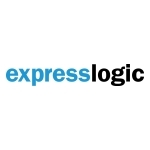 call 1-888-THREADX, or e-mail sales@expresslogic.com. brands or product names are the property of their respective holders.